I have a confession to make, although it’s nothing earth shattering. I mean, how serious could it be when I’m talking about brownies? The confession is that I’m a lazy baker. Totally, and utterly lazy. 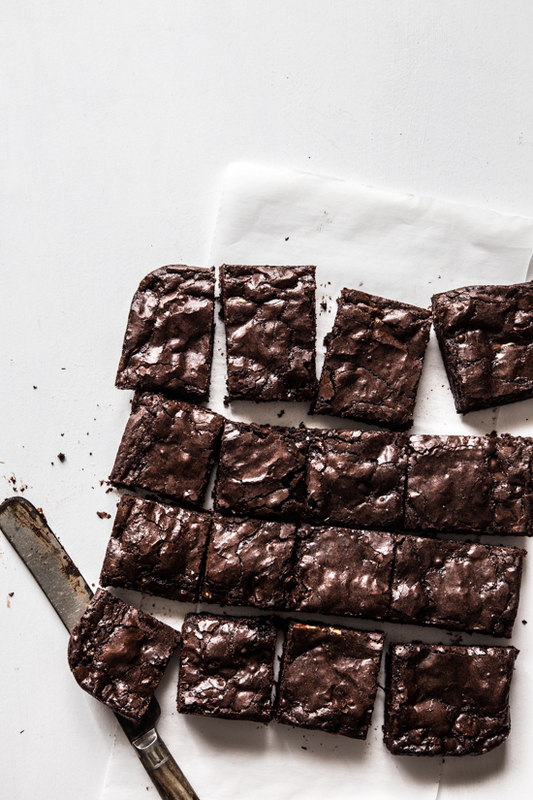 I like baking cookies because they tend to be uncomplicated, and while brownies from scratch aren’t difficult, I find brownies from a box to be even easier and when doctored up with some of my favorite candy, they’re utterly irresistible. So there. Not a big deal, right? While this isn’t a recipe in the traditional sense, it is technique that I think everyone should try. Brownies with candy baked in. It’s simple baking and I’m absolutely a supporter of doctored up baking mixes. Whether my ingredients come from a box or several different packages, I still find myself in the kitchen and baking up something sweet with my kiddos. When it came to these peppermint bark brownies, I needed a dessert to bring to C’s school Thanksgiving lunch. Being the last minute girl that I am, I clearly waited to the last minute to plan something. Luckily I keep several boxes of my favorite brownie mix on hand (Ghirardelli, but you can use any brand that you like) and had impulse bought two bags of the peppermint bark with dark chocolate. I considered mixing up a frosting for the top, but decided to leave them naked. I actually don’t enjoy a thick frosting on my brownies because then it seems like cake, and if I wanted cake, I’d make cake. Anyway, these brownies turned out so delicious, that when several of my friends told me how much they enjoyed them, I wasn’t the least bit embarrassed to tell them it was a box mix with some pepperminty candies baked into the centers. They disappeared from the dessert buffet so I knew I wanted to make another batch when my sister-in-law and niece came to visit the next week. Those disappeared even faster so I knew that even during the holidays, simple is never bad. In fact, simple can be down right awesome. Line a 9x9 inch metal baking pan with parchment paper and grease lightly with non-stick spray. Mix up brownie mix according to package directions. Pour half of the brownie mix into the pan and top with peppermint bark candies. Drop remaining brownie mix in spoonfuls over the top of the peppermint bark candies and spread gently. Bake according to the package directions (about 45 minutes) but be sure to not over bake. Allow to cool, cut and enjoy! These are simply wonderful! 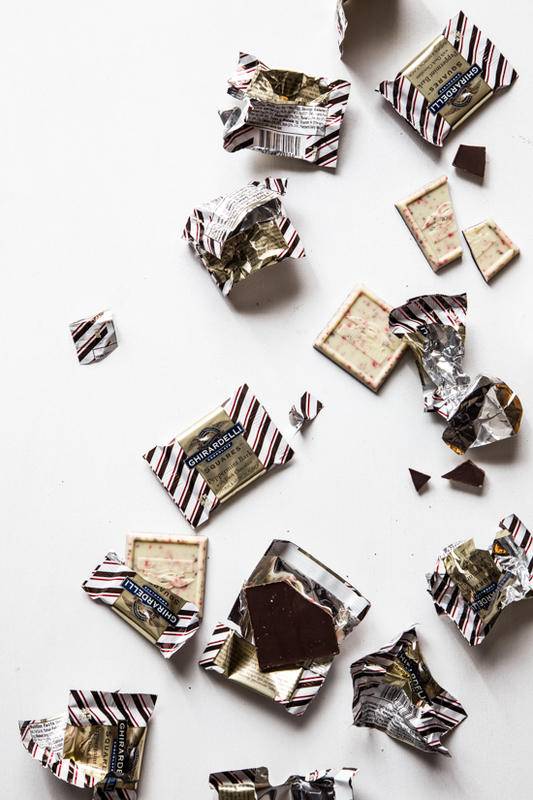 I adore Ghirardelli brownies and the addition of that fabulous peppermint bark elevates them to perfection. I happen to have a Christmas get together coming up this weekend. Now I know what I’ll be bringing along with me! I LOVE THIS!! Love this easy trick. Gonna keep it up my sleeve for holiday parties this year! 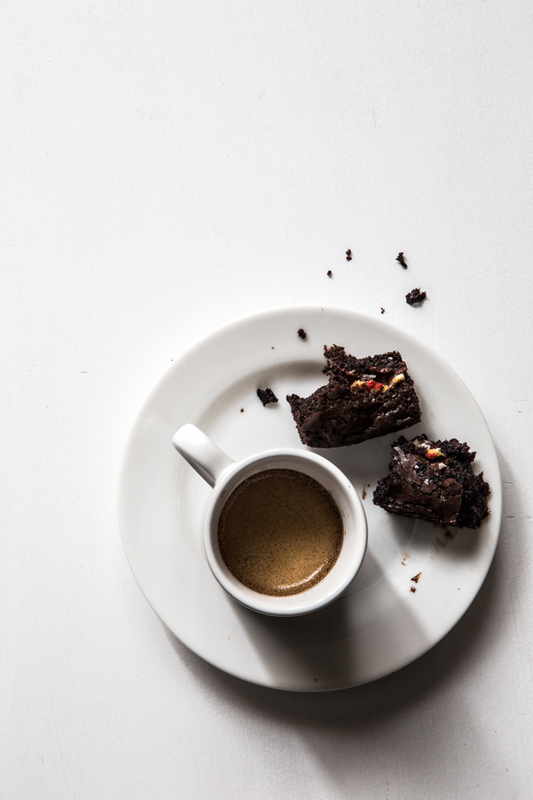 I’d eat these brownies with you any day – my favorite flavor combination! 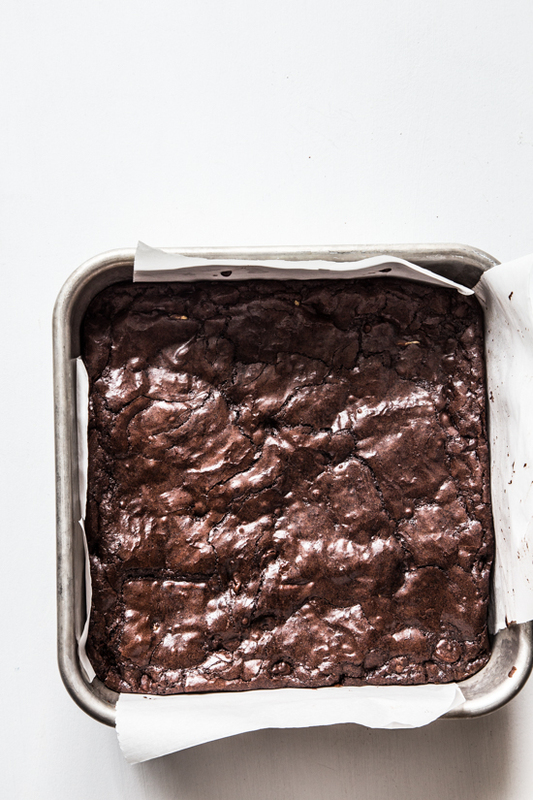 Love peppermint bark and love brownies, so these are amazing I’m sure. My problem would be putting the peppermint bark in the brownies instead of directly into my stomach! 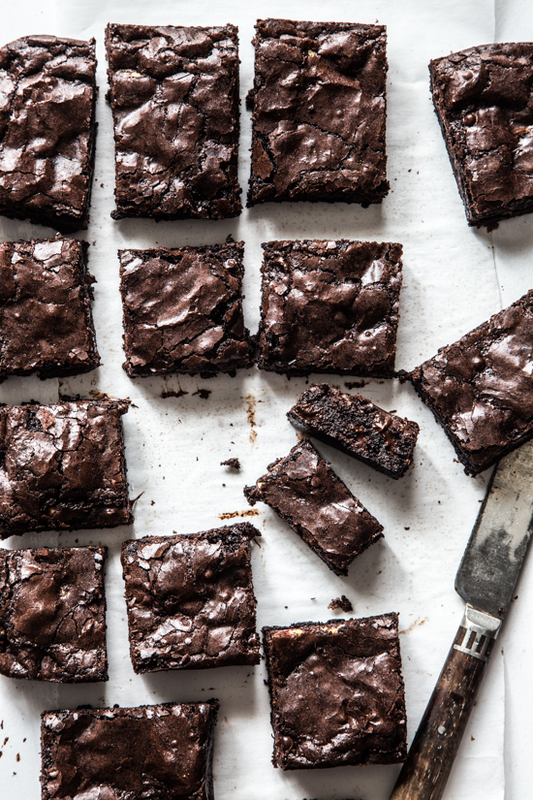 Seriously, these brownies are all I am craving right now. You can never go wrong with the combination of chocolate and peppermint.. so delicious! These are my kind of brownies, I love the peppermint bark surprise!